Ageing, sun exposure and environmental factors can all come together to create freckles, age spots and discoloured patches that no amount of concealer will hide. Our Pigment Correcting Laser helps to perfect skin tone and texture anywhere on the face and body with minimal downtime. Quick, painless, and safe, we’ll help you improve the look of discoloured skin now! Melanin is a substance that gives our skin colour. 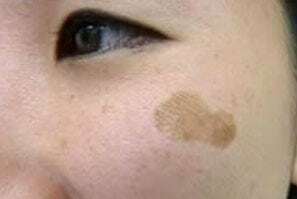 When too much melanin gathers in one location, freckles, age spots, and other minor blemishes can occur. Our Pigment Correcting Laser can help. Once the wavelengths of light produced by it are absorbed by those areas, it shatters the colouration, dispersing it through the body’s lymphatic system. As a result the spots reduce over time, leaving you with clearer, more even skin. The process begins when you meet with one of our practitioners for a one-on-one consultation. We will discuss your pigmentation and examine your skin carefully. Then we’ll do a patch test to make sure your skin is right for this laser treatment. We will book your first appointment shortly after. Once you arrive, we’ll give you protective eyewear and prepare you for the treatment. This type of removal is not painful for most people, but you might feel a tingling sensation as we apply the laser. Directly afterwards we will use aloe vera on the affected area. Make sure you don’t directly expose the area to sun for at least twenty-four hours, as heat can have an adverse effect on your capillaries. If you need to schedule a follow up appointment, we will do it within a few weeks of your initial session. Any part of your body can be treated with our Pigment Correcting Laser. From problem areas on your face, to freckles on your neck and shoulders, we can help to reduce common issues. You will meet with one of our practitioners for an in depth discussion about your pigmentation. Your skin will be examined and you will be given an opportunity to ask questions and to discuss your medical history. A patch test involves applying the laser to a small area of your skin in order to ascertain you are suitable for the treatment and to check that no adverse reactions are apparent. Your first appointment will be booked for a later date after your consultation. Before the procedure you will be given protective eye-wear and prepared for treatment. 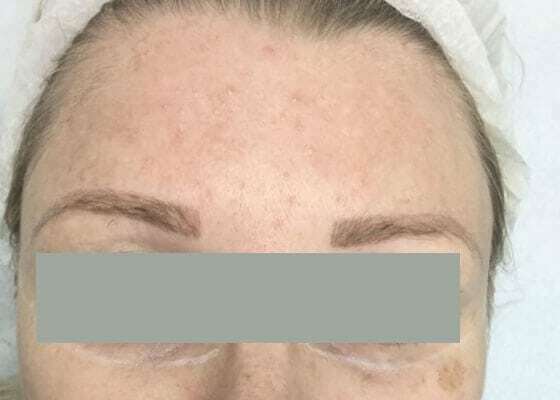 Laser pigmentation removal is not painful for the vast majority of people; some report a minor prickling or tingling sensation but this is only whilst the laser is in action. When your treatment is complete you will be advised to avoid direct sun exposure on the area which has been treated. You will also be advised to avoid strenuous exercise and hot environments for at least 24 hours. This is due to the effect which heat can have on capillaries. Yes, the treatment offers an immediate return to routine activities. In fact, clients often schedule appointments during their lunch break and have no trouble return to work afterwards. 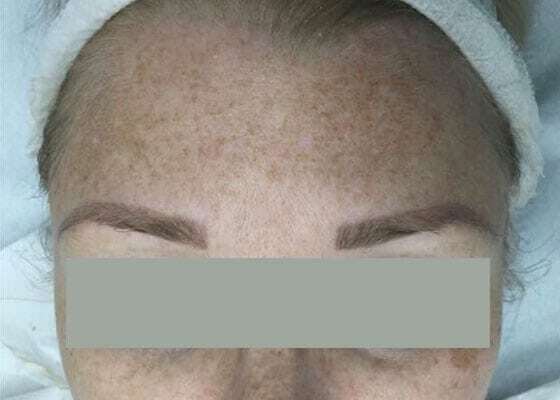 Some clients experience an immediate reduction in the appearance of pigmentation however best results are seen over time, as hyper pigmentation gradually fades. HOW MANY SESSIONS DO I NEED AND HOW SOON CAN I SEE RESULTS? This really depends on your skin type and skin issues. Significant improvement can be experienced after a single session however many clients book a course of treatment for the best results. Our expert practitioners will help you determine how many sessions you require to achieve the results you desire. You will receive a full consultation prior to treatment to ensure your suitability.